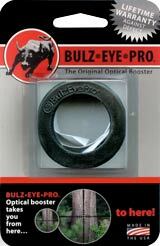 The All-Handgun EER Series booster offers sight picture boost for extended eye relief scopes. These boosters also offer reduced eye relief from 24 inches to 6 inches depending on the lens selected. This is excellent for handguns, in conjunction with satisfying all handgun disciplines, such as silhouette shooting, Creedmore, and hunting, to name a few. 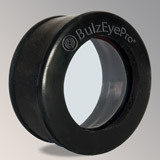 Our All-Handgun EER Lenses are sold installed in the BulzEyePro Optical Booster™ Universal Housing. 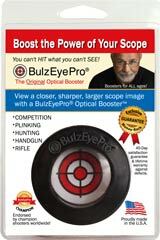 Handgun scope boosters will decrease eye relief. The higher the number, the more the decrease. Anyone interested in handgun scopes should use the recommendation inquiry form before ordering. 110% satisfaction guaranteed, or your money back!